Summer is in full swing, which means that Autumn is right around the corner. There’s a reason why it’s referred to as the “fall” and as you know, those leaves aren’t going to pick themselves up. If you’re looking for the best DeWalt Leaf Blowers and Vacuums to get the job done, you may be at a bit of an impasse in trying to decide which product will provide you with the best value. Blowers and vacuums provide one of the simplest means of piling and collecting leaves from your property and DeWalt makes some of the best products you’ll find. A range of options are available that you can choose from. Whether you have a lot of ground to cover or just a small area to clean each day, a leaf blower can be an excellent help. Below, we’ve highlighted a few models and given you a comprehensive guide to equip you with all of the information you need to make an educated buying decision. Our top picks include four different models with varying features and capabilities. Odds are that you’ll find at least one of them ideal for your specific property needs. The DeWalt DCBL790H1 is a brushless leaf blower that is cordless and can be an excellent choice for all of your yard maintenance needs. While this leaf blower is more expensive than many other options on the market, it is well worth its price and comes in a perfectly crafted design. The blower is incredibly compact and has high operational efficiency. It also has precise controls and an excellent air flow pattern. All of these features are due to its high quality brushless motor, which is more durable and capable than traditional brushed motors. The DeWalt DCBL720B is a heavy duty blower that was made by DeWalt and is an excellent choice for your cleanup needs. This brushless handheld blower offers a lot of bang for its buck at a pretty reasonable price. The blower also has 20V max and is powered by a lithium-ion battery. The blower is also easy to use and handle and offers excellent maneuverability, simple controls, and the ability to change modes with ease. It has multiple speeds you can switch between and comes in at a weight of just 7.2 lbs. Overall, the blower is an excellent choice that is reasonably priced, although still more expensive than many other options on the market. The DeWalt DCE100B is another option for a leaf blower that can be ideal for use in your yard. This model has a lot of quality but is not quite as feature filled as some of the other options on this list. The great thing, however, is that this blower also has the best and most affordable price tag of the bunch, and can be found easily for less than $100. 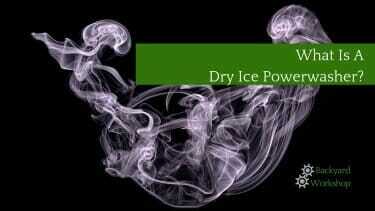 It is an easy-to-use option that is also very lightweight and powerful. The model is also cordless, meaning you won’t be tethered to a power outlet during use. The blower has a 3-Speed control that does an excellent job in offering variety and flexibility for your many cleaning needs. The unit has air speed of 135 MPH and an air volume of 100 CFM, meaning you’ll have plenty of power for either home or workplace needs. For anybody looking for a powerful leaf blower that can remove even the heaviest of debris, the DeWalt DCBL590X1 may be just what you’re looking for. This powerful machine can blow at a speed of 142 MPH and an air volume of 450 CFM. Despite the high efficiency, the blower is also relatively quiet with a noise rating of just 64 dB and has a low risk of annoying your neighbors. The leaf blower features a brushless motor and a variable trigger and speed lock to give you full control over the power used while blowing. This option is pretty heavy however and also has the steepest price tag of the bunch. This device is a machine that’s truly meant for heavy duty users. The weight is pretty easy to bear, however, since this isn’t simply a handheld model but has a backpack design which provides a lot of comfort during use. If you’re looking for the most robust option and aren’t concerned with a high price tag, then this is one of the best backpack leaf blowers you can find. A leaf blower can be a great tool for your home and can do good to keep your yard, garden, and driveway clean. A leaf blower can help with many things and can eliminate the need for time-consuming raking and can also double as a tool for clearing snow. You can also use a leaf blower to clear your driveway. Not all types of leaf blowers are created equally. To choose a leaf blower, you will want to look at a lot of different features and consider how you will be using it. Some leaf blowers can be extremely noisy, and some can be quieter. Some can have a lot of power while some have just enough to get the job done. A leaf blower can be either cordless or battery powered. Different prices can be found for leaf blowers, vacuums, and mulchers, and some of the cheaper models lack the features you may want in a leaf blower. More expensive models will have more features that can make cleaning the yard an even easier task. Some leaf blowers are better for simple uses and for only using in small areas, while some are better suited for a larger project or area. Blowers that are cordless will, of course, be ideal for use all over, while an electric leaf blower with a cord may be better for using just in a small area in front of your home where you have easy access to an outlet. A vacuum can be used to eliminate an excess of leaves from an area. A vacuum may or may not be needed if you plan on clearing just a small area. It’s also important not to underestimate the impact that excess noise can make. If you have neighbors, you may annoy them if your equipment is far too loud. It can also be grating to your own ears, and no matter what blower you choose you may want to wear some basic ear protection. In general, four stroke blowers are less noisy than a two stroke. It’s also important to get a lightweight blower unless you happen to need a blower with a lot of power. Lightweight options can be found with a lot of power that will be right for most people, however. Having a leaf blower around your home can come with a lot of benefits that can save you a lot of time and effort. Whether you’re trying to rid your yard of leaves, clean your driveway, or deal with snow, a leaf blower can be a big help. DeWalt leaf blowers and vacuums, in particular, are well regarded as excellent products that are high quality. Cheaper products exist, but they don’t have the respect or quality of the DeWalt brand. Another plus is that DeWalt has some excellent warranties included with their products. The company offers a three-year limited warranty and a one-year “free service” contract. All of this is done for free for DeWalt products that have been purchased. For the one-year contract, DeWalt will maintain the tool and replace parts that have been worn due to normal use. For the three-year warranty, DeWalt will repair defects due to faulty materials or workmanship. There are many features you’ll want to consider carefully to make sure you make the best purchase possible. By considering the features below, you’ll end up with a blower that is everything you want it to be. You need to make sure that the leaf blower you choose is easy to use. A simple interface with easily understandable and usable controls is necessary. Weight can be a real issue when you’re doing work around the home with your leaf blower. If you get a handheld blower, it needs to be lightweight and be easy to maneuver, unless you’re looking for a more robust and heavy duty option. If you’re looking for a heavy duty option look for one that has a comfortable backpack style. Weight distribution is also important, as an uneven distribution can be difficult to use. Another important consideration when buying a leaf blower or vacuum is to decide how you want the equipment to be powered. Electric corded leaf blowers can, of course, have some obvious limitations. A gas powered leaf blower or a cordless battery powered leaf blower can be another option and can be easy to use in a wider area where you don’t have easy access to a power outlet. However, you will need to charge a cordless blower and refill the petrol with a gas-powered blower when you need to use it. If you’re looking to clear heavy debris it’s important to have enough blowing power to do what you need to do. Look for a leaf blower with a high MPH. In addition to MPH, you need it the blower to have ample air volume too, or (Cubic Feet Per Minute). CFM will allow you to know how much air volume is pushed out of your equipment when used. It’s important to have high MPH, but it’s also important to have variable settings so that when you just want to blow leaves lightly away, you can blow it at any speed you need to. If your blower has multiple settings or has the additional abilities for mulching or vacuuming, you should look for a blower that can switch between all of these settings and features easily. Some equipment changes between these more seamlessly than others, so look for equipment that offers an easy switch option. If your blower has the ability for mulching, then you should check the mulching ratio. The mulching ratio refers to how much mulch is created from the amount of debris you eliminate. A 10-to-1 mulching ratio, for example, would mean that the blower will mulch ten bags of dry leaves down to one bag after all is said and done. Blowers, of course, can range in cost quite a bit depending on many factors such as the brand, the included features, and the power of the blower. Prices can range from $50 on the low end to over $500 for the more feature-packed, powerful options. It’s also essential to consider the volume and sound that a blower produces. Blowers can get as loud as 95 dB. Leaf blowers can be very loud and can run the risk of annoying any neighbors or people nearby. It can also be grating to your own ears as well. Be sure to check the sound rating when you’re looking for a blower, and make sure that the volume is as low as possible. As compared to the more old fashioned brush motors, brushless motors have a lot of advantages. While brushed motors can be more inexpensive to make, brushless motors have a lot of benefits when it comes to efficiency and power. Additionally, brushed motors are likely to have a shorter lifespan and can also be noisier. When possible, opt for a brushless motor instead. Here are a few tips on how and when to best use a leaf blower, if you’re wondering how one of these DeWalt leaf blowers can serve you. In spring, a leaf blower can be a great tool to help you clear debris from the many thunderstorms that occur this time of year. A leaf blower can be an excellent way to clear away leaves, pine needles, twigs, and sticks from your yard or your driveway. Summer is the time to keep your lawn looking great, and as a result of all the cutting often there is a buildup of grass clippings. A leaf blower can help you to blow these bits of grass away from your driveway quickly. 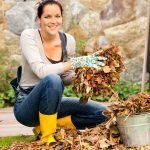 This season is obviously one where you will likely need your leaf blower the most to clear away the excess of fallen leaves that fill up your yard and driveway. Dead leaves can become a hazard and put you at risk of tripping or falling during these months, so it’s great to have a way to push these away quickly. Believe it or not, leaf blowers can be an excellent tool in the fight against snow during the colder months. If you live in a colder region, you’re no stranger to getting out the snow shovel after a winter storm. A leaf blower can be used in place of a snow shovel to clear away the snow that is covering your yard, driveway, sidewalk or even your car.